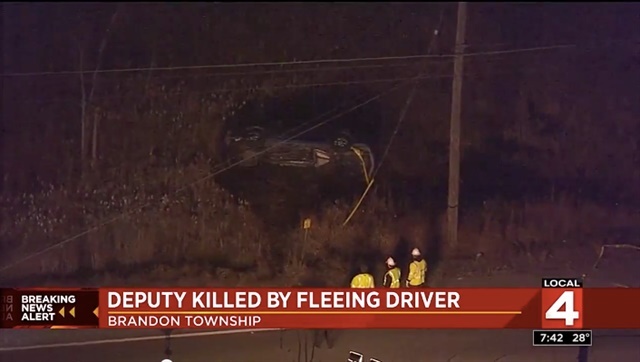 An Oakland County, MI, Sheriff's deputy was killed while deploying spikes during a pursuit early Thursday morning in Brandon Township. The pursuit started in Lapeer County and went westbound on I-69 to southbound M-15. It then entered Oakland County into Brandon Township, ClickonDetroit reports. Authorities say the deputy was struck by the pursued vehicle. The suspect's vehicle rolled over, and the suspect was taken into custody at the scene. An investigation is in progress. The deputy was a 22-year veteran of the Oakland County SO. His name was not immediately released.